Start your skin on a health kick in this New Year! Each product in the MyoEssentials line has been specially formulated using only natural botanical products like vitamins, plant and flower extracts, and minerals.Myo® Technologies has created Myo Essentials®, a skin care line for post treatment and home maintenance programs. Myo Essentials® was created by top industry professionals and have the highest quality ingredients available. As we all know, I absolutely love to discover new and effective anti-aging skin care products that will help to keep my skin youthful and glowing. 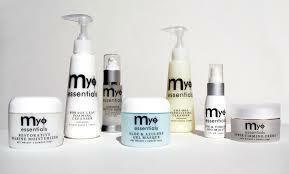 I was thrilled to get the chance to review Myo Essentials Botanical Skin Care. 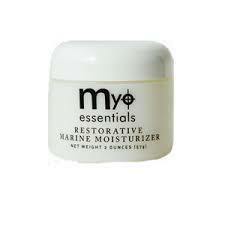 I received samples of Myo Essentials Botanical's Cleanser,Toner, and Moisturizer. White milky consistency with ginger and lavender essential oil, there are many borage leaf benefits that can be attained with the use of our borage leaf foaming cleanser. Contains chamomile, cucumber and aloe vera to calm and soothe the skin, while vitamin E, sodium PCS and cocoa butter are included to pamper dehydrated and irritated skin. My Experience: I usually wash my face at night in the shower. I love how this cleanser removes all of my makeup. It smells wonderful and leaves my skin perfectly clean and refreshed. Ginseng Mineral Toner is comprised of a number of ingredients that will give you a myriad of benefits. 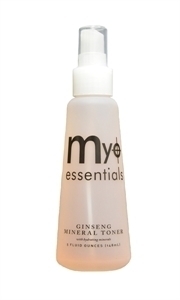 If you want your skin to be soft, smooth and youthful, consider purchasing Ginseng mineral toner today. My Experience: This is probably one of the best toners I have ever used! I use it after cleansing, before moisturizing. I apply it liberally all over my face, neck and chest area. It completely refreshes my skin and helps to further remove impurities. It leaves my skin soft and supple. I love it! A white full body creme with the irresistible scent of bergamot oil, our Restorative Marine Moisturizer will cure your dry face and help solve your dehydrated skin problems. The formula is derived from red marine algae and helps with reduction of fine surface lines and increase of collagen stimulation, and it also shows a 20% increase in firmness within four weeks. Skin moisture and hydration has been shown to increase 70% within four weeks. My Experience: I use this a a night time moisturizer. (My skin gets too oily in the day time if I use any moisturizers.) It feels amazing, smells great and really helps to restore my skin's moisture, especially during winter time when my skin has been extra dry. I have found that my skin looks luminous and radiant the next day after using it the night before. I love it! Really great review! I also gotten some Scientific fetchers from http://scarformula.com/ which is really helpful for skin!